Stucco is a popular type of low-maintenance, cement plaster applied in layers to exterior walls. Renowned for its utility, durability, practicality and timelessness, when applied properly stucco can retain its appearance for many years. The material is applied wet over a mesh or wire framework and quickly dries into a hard, rock-like protective coating that can help reduce energy costs and sound transmission. It’s also proven to be rot-, mildew-, and mold-resistant. Stucco’s seamless appearance can often allow other architectural details to shine, and never goes out of style. Stucco has been used for centuries — for good reason. It’s proven to be an incredibly durable, reliable insulator in many climates. But even though stucco has great longevity, it can be susceptible to damage over time, especially in extreme weather, resulting in unsightly cracks and blisters. Luckily, Nexen Construction can repair any imperfections or hairline cracks and restore your stucco exterior to like-new condition. Insulation. Because the materials used to create stucco are applied in layers, stucco essentially creates an external protection around a building. A building finished with stucco will help reduce sound transmission, increase impact-resistance, has fire-retardant capabilities, and require less energy to heat or cool. Investment. 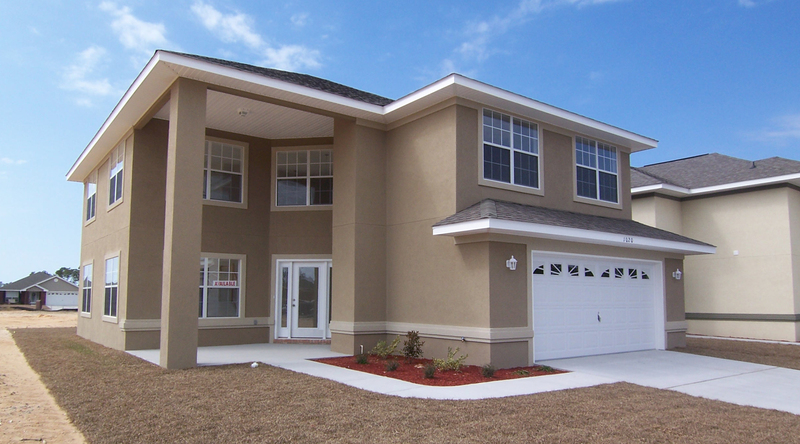 Although the upfront cost associated with stucco can seem high compared to other exterior finishes like vinyl or fiber cement siding, it is truly an investment that will pay for itself in longevity, durability and the low maintenance it requires. Properly installed stucco often lasts over 50 years. Style. Stucco offers a great deal of versatility when it comes to style and design. Colors can be custom-mixed to match your aesthetic and can be applied to many types of surfaces. Our skilled applicators are also accustomed to trowel-texturizing stucco in a number of ways to create different finishes.